Nowadays, you will be lucky if you find a package of peanuts and a fleecy blanket on your airplane. Airlines have cut down on costs in every way possible, and now snacks, meals, blankets, and pillows usually will cost you extra. Therefore it is more important than ever before to be prepared for your flight. 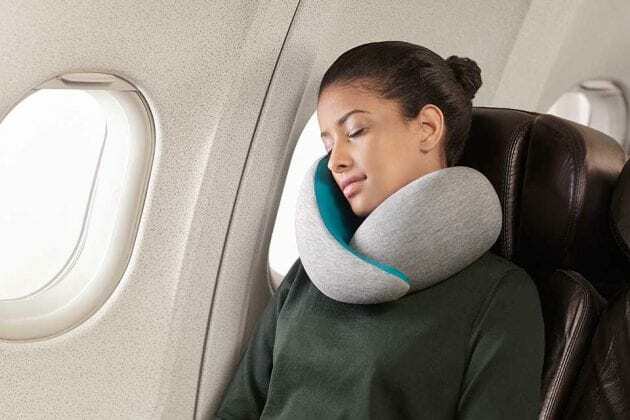 Here the 5 most important items you will need to take with you in order to ensure a comfortable flight, whether short or long haul. There is really nothing worse than not having your medicine due to a long delay, or if your checked bag gets lost along the way. Therefore it is always recommended to take all of your medication and toiletries with you on flight. Just make sure to follow the security rules about the size of permitted liquids and gels. When you travel on a long flight, you have no choice but to have some personal time and time to amuse yourself. For some, this might mean a nap, but bringing headphones is always a good idea. They will overcharge you onboard and you should at least have the option of watching movies or listening to music during the flight. But since you cannot use electronic devices during the time of takeoff and landing, you should also be prepared with books and newspapers. In today’s airlines, snacks are not offered free of charge anymore, and meals are rarely offered. Therefore it is very important to bring some food with you on your flight. But in order to be respectful to those around you, try to avoid tuna and other smelly foods. Taking gum with you is also helpful to help that unpleasant ear popping feeling during takeoff as well as landing. However, do note that you cannot bring beverages with you for security reasons. While on the plane, temperatures inevitably drop and it will get cold. And in many cases, you probably boarded the plane in your summer attire. So it is always useful to bring a jacket or sweater with you, and sometimes even socks to ensure that you stay warm throughout your flight. If you would like to enjoy a drink on your flight or even watch a movie, you probably will not get this included in your flight and cash will not get you very far. Most airlines nowadays only accept credit cards for drinks, food and entertainment. You’ll be really disappointed if you forget to have it on hand.